A little corner for discussion and display of Lego, Meccano and similar models. Hachette claims to have 30000 subscribers in France (!?). This has resulted in a delay in the delivery for subscribers. However, the newsagents seem to be supplied regularly. It’s a shame they didn’t do other models that could be built with the parts already supplied, but I guess that would be logistically difficult. 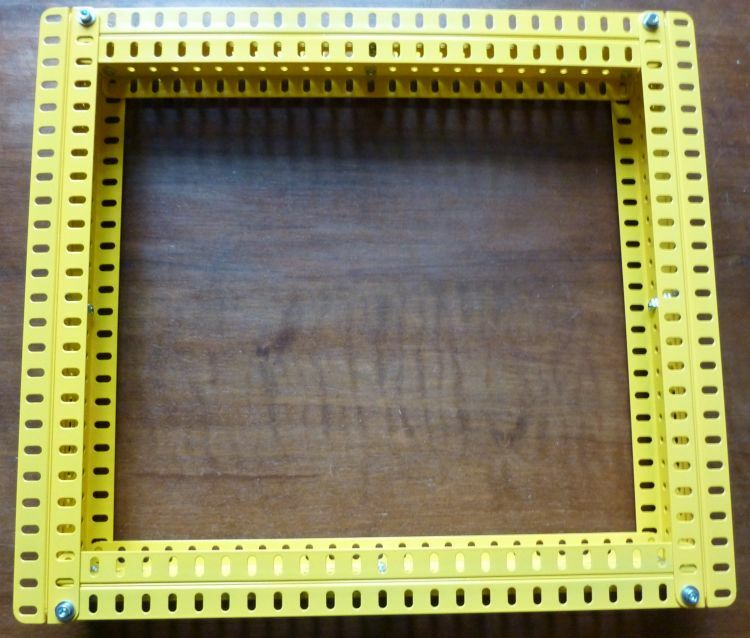 Like issue 5, it completes the horizontal arm made with the previous issue. 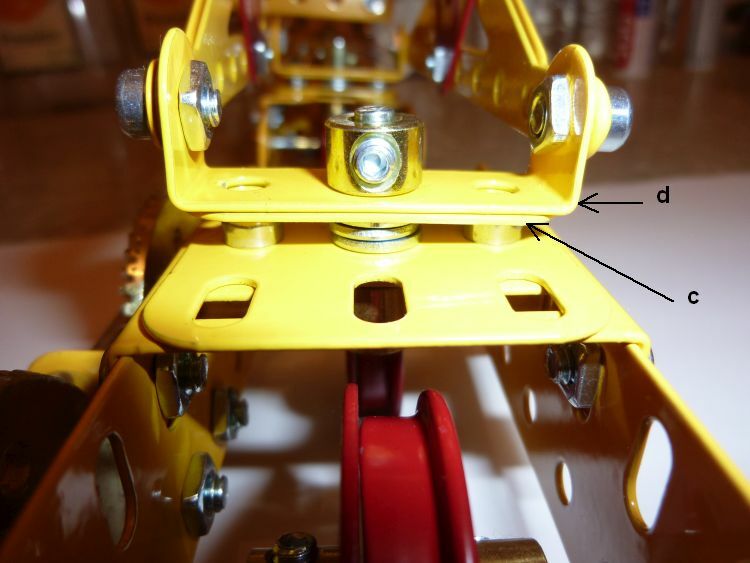 Each bogie is separated from its support by 3 washers and a 3-hole strip (c) which is not bolted to the double-angle strip (d). Obviously, it will be held in place by the weight of the crane. Really enjoying this thread. Some serious amount of engineering and metal work going on. 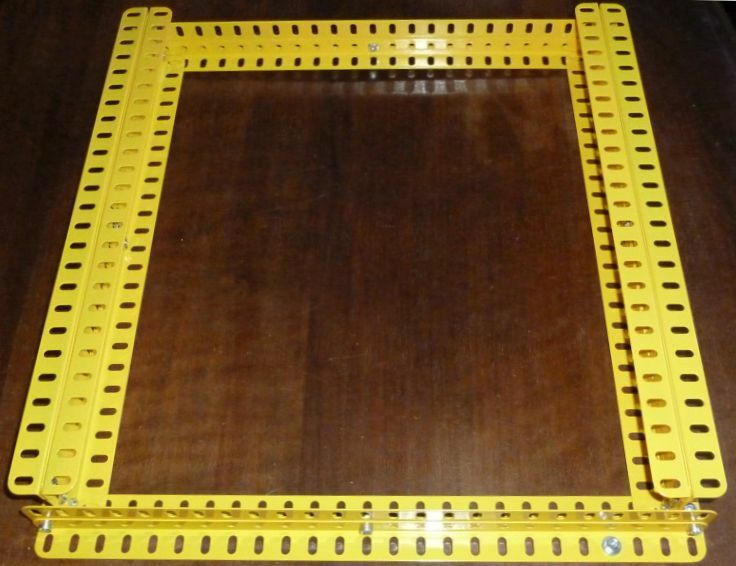 And yes, this collection is a good way to discover several building techniques which are used in many Meccano models. According to a french subscriber who has contacted them, Hachette still claims that they have 30000 subscribers and that it is their best-selling collection ! Note that two sides are still not complete. Likely they will be completed with the next issue. 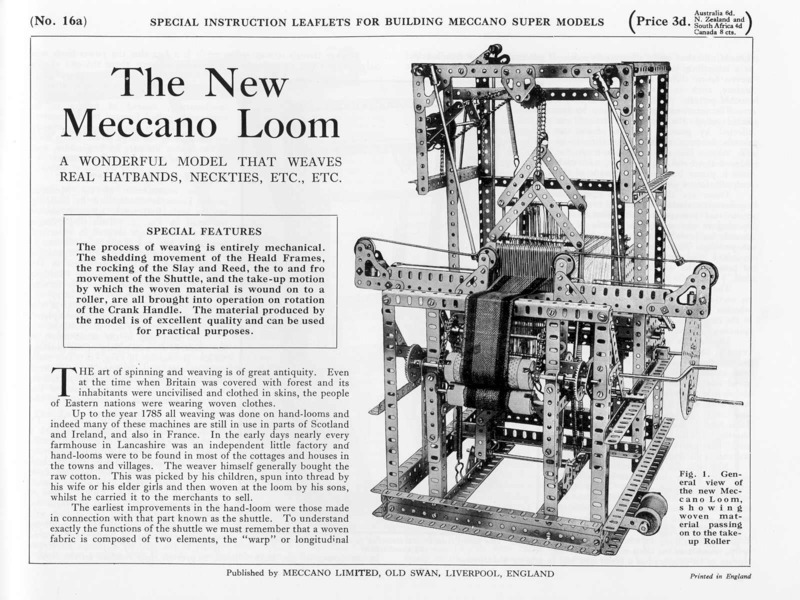 In this issue there is also a notice saying that SpinMaster (the company that sells the official Meccano brand) is not involved with this project. 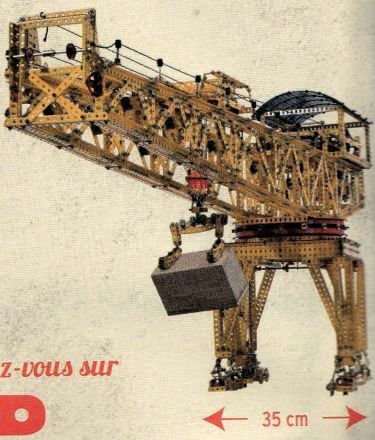 For this reason, the title of the collection will be changed from "Construire la grue Meccano" (Build the Meccano crane) to "Construire la grue de votre enfance" (Buid the crane of your childhood). How big is this now? It looks substantial. Or should i say whats the final size? It’s going to be a monster! I’m really enjoying the updates. Do you get a degree at the end to say you are now a qualified civil engineer or similar ? Given the amount of metal work being bolted together. 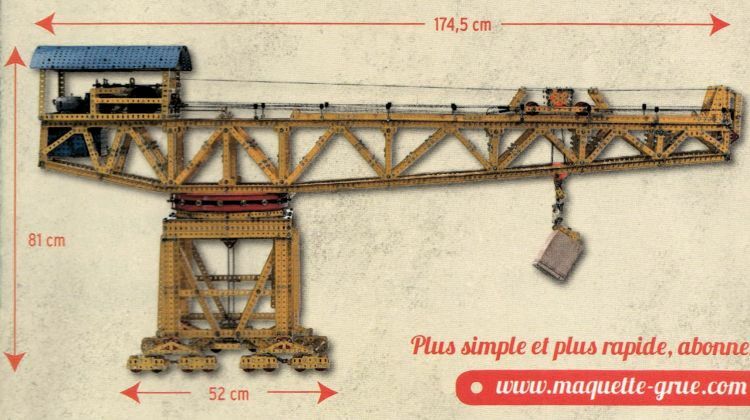 And no, you will not get an engineer degree by building this crane, but you will surely be recognized as a true meccanoman ! 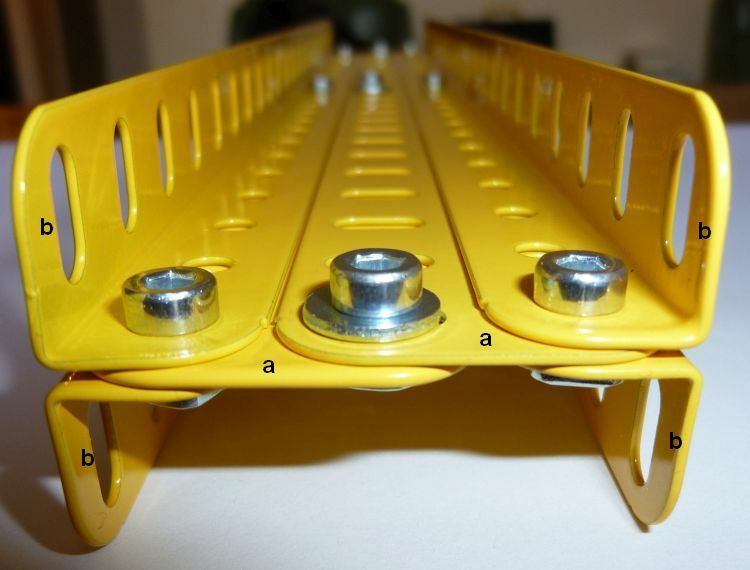 Yes, the weight is 45 kg (including a 8-kg counterweight in order to balance the boom). Perhaps I will try to build the boom differently in order to make it lighter. jdebord wrote: Yes, the weight is 45 kg (including a 8-kg counterweight in order to balance the boom). Feel sorry for the delivery person who delivers that counterweight!! I din't even know if the couterweight will be included in the collection ! Theoretically it should be made of lead, and should be delivered in several parts. jdebord wrote: I din't even know if the couterweight will be included in the collection ! Given the health risks with Lead, I suspect it will be a different material. Probably zinc or iron. My guess would be Zamac, as it’s cheap and easy to cast. Lead is too expensive as well as the health hazard.